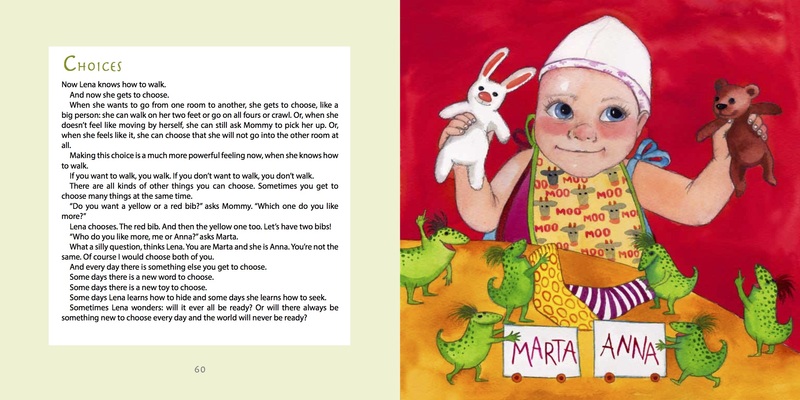 Lena’s Laugh follows Marta’s Toes and Anna’s Teeth. 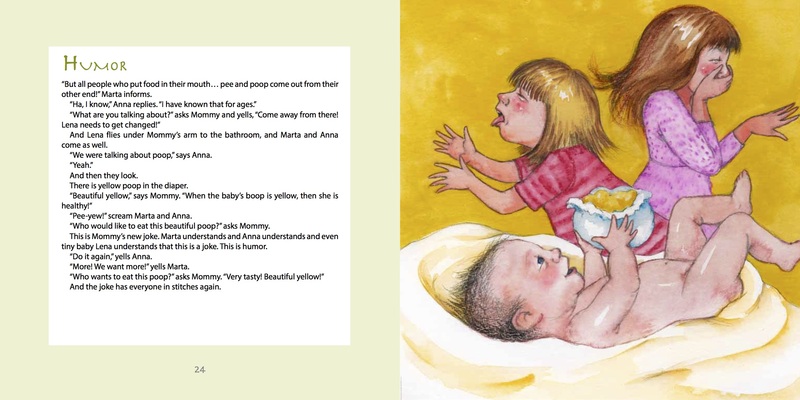 The main character in this book is the family’s newest member, baby Lena, and her memorable experiences, from swimming in her mother’s belly, to her birth, and her first year of life with big sisters. 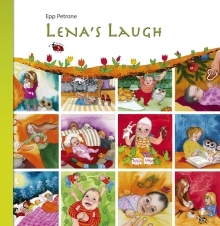 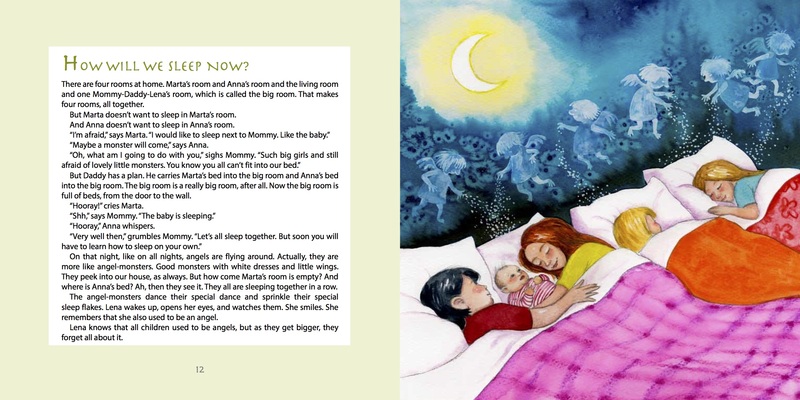 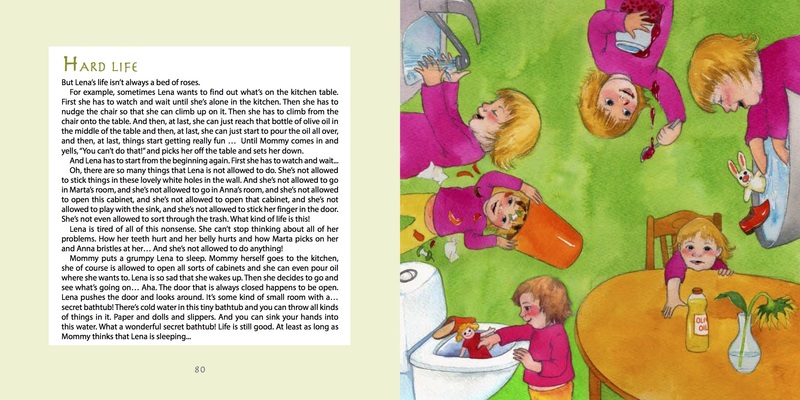 Some of the stories are told through the eyes of the older children, but most are told from the perspective of Lena, who can still recall the time before she was born and when she was just an angel.